The modern interpretation of the term “manna” denotes divine or spiritual nourishment. 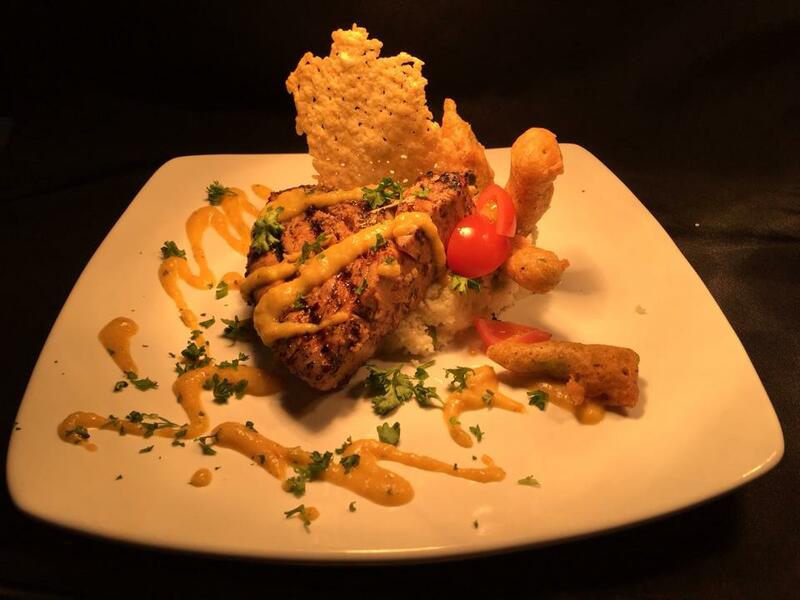 If you’ve spent any time enjoying the delicious food at Manna Bread & Wine or the creative cocktails and extensive wine, beer & spirit menu of Milo’s Fine Wine & Whiskey, then I don’t have to tell you the definition of Lubbock’s Manna is spot on! 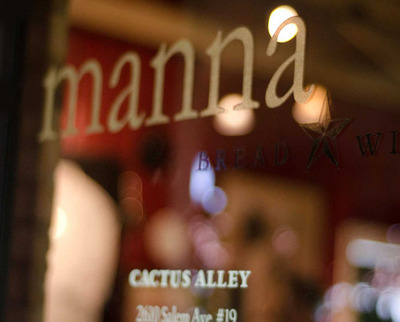 Manna was founded eight years ago by Head Chef Halen Verkamp’s aunt, Sally Good. Halen noted that Aunt Sally had a love for older structures & fell in love with the quirky Cactus Alley Courtyard location, which some patrons feel embodies a certain “Keep Austin Weird” vibe. Consequently, Halen has been with Manna since its inception and started as a dishwasher. 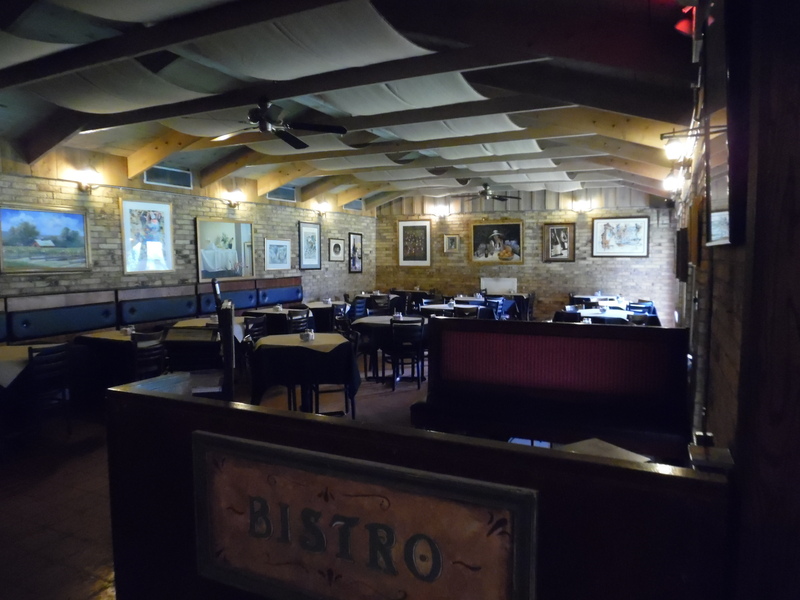 The restaurant passed into the hands of David & Joyce Barksdale three years ago, and today the eatery reflects the couple’s love of art & passion for great food & spirits. 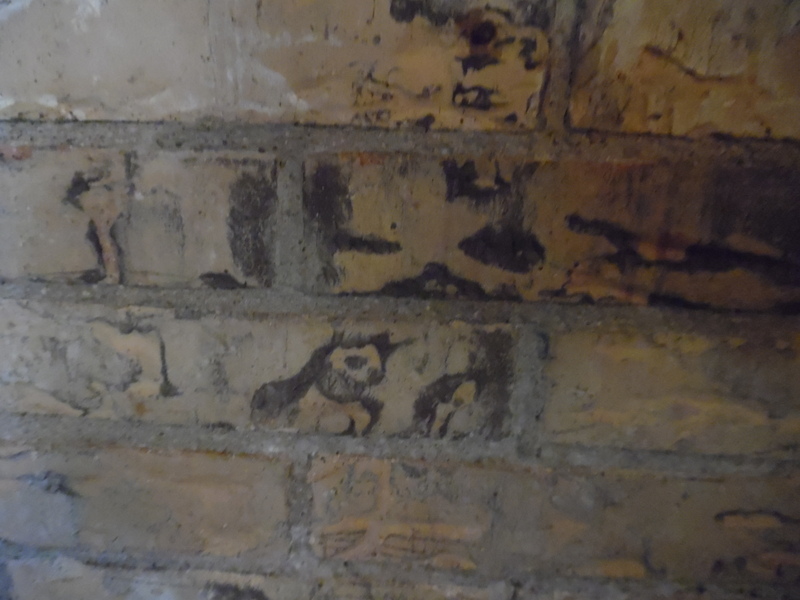 Two of the restaurant’s most notable features include a work by Pablo Picasso and the “Jesus” brick, which was christened by patrons who noticed it near their favorite table one day. 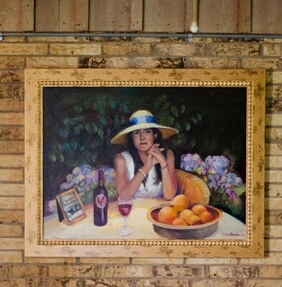 Portraits of Joyce hang in the bar & at one end of the restaurant. While they lived in Las Vegas, Nevada, David & Joyce became friends with Kevin Vogt, Emeril Lagasse’s director of wine, & mementos of that friendship festoon the wall adjacent to the hostess station. 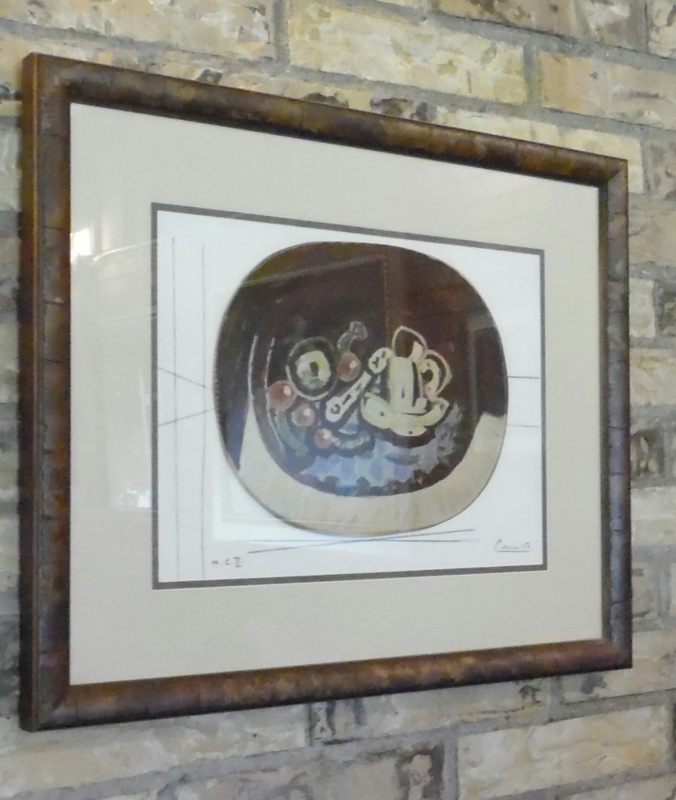 All of the art in the bar is by artist Paul Milosevich, who is a friend to the owners, & he also is the namesake for that cozy space. 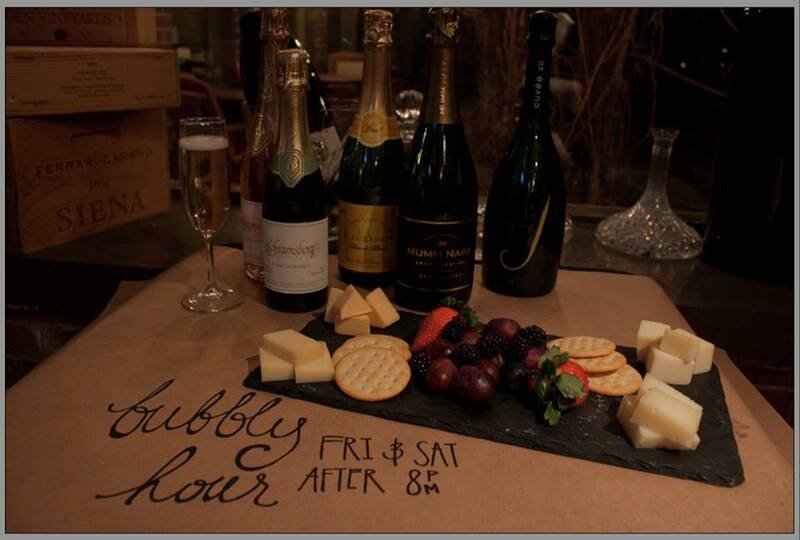 Monday: Half price wine under $50 from 5-10 p.m.
Spanish Thursday: Half price Spanish wines & tapas until 7 p.m.
Friday & Saturday Bubbly Hour: Half price champagne under $100 after 8 p.m.
Sunday Brunch: Tableside Mimosas & Bloody Mary Bar. Cactus Alley Courtyard, in general, is noted for bringing in live music, but Manna also features musical guests in the restaurant. Staff did note that adult beverages are not allowed outside of their gated patio. Halen’s daily menu features local, fresh produce, including cuts from the Texas Tech Meat Lab that give a Texas twist to American cuisine. 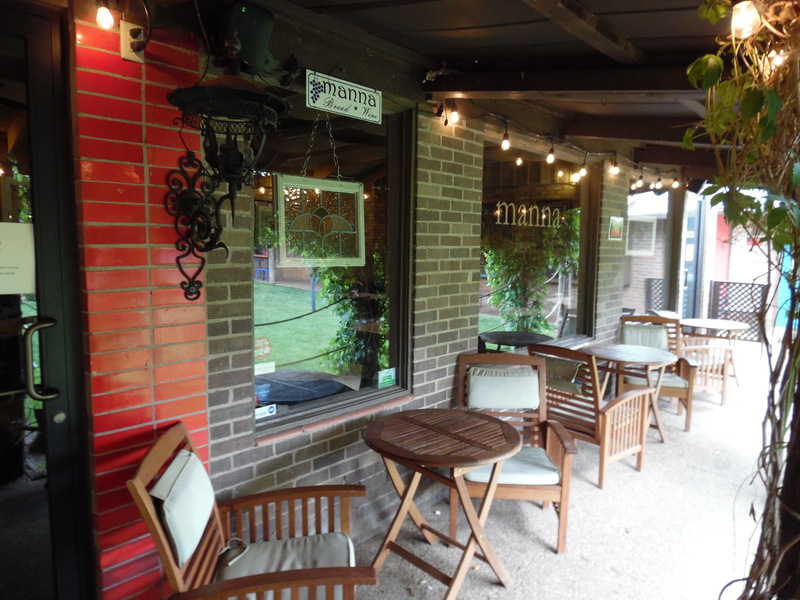 If you prefer gluten-free or vegetarian dishes, the Manna offers a variety of selections that will delight any palate. Adventurous diners will enjoy buffalo, venison and fresh seafood, and the menu continually offers new & unique fare to keep patrons coming back. It was a pleasant surprise to discover that Halen had worked with Woodrow House Bed & Breakfast during her time in the Lubbock Independent School District Hospitality Program at Coronado High School. I’m really proud that she has gone on to build a successful career that highlights her passion for this vital industry. It benefits Lubbock when students opt to share their talent with their hometown after graduation. 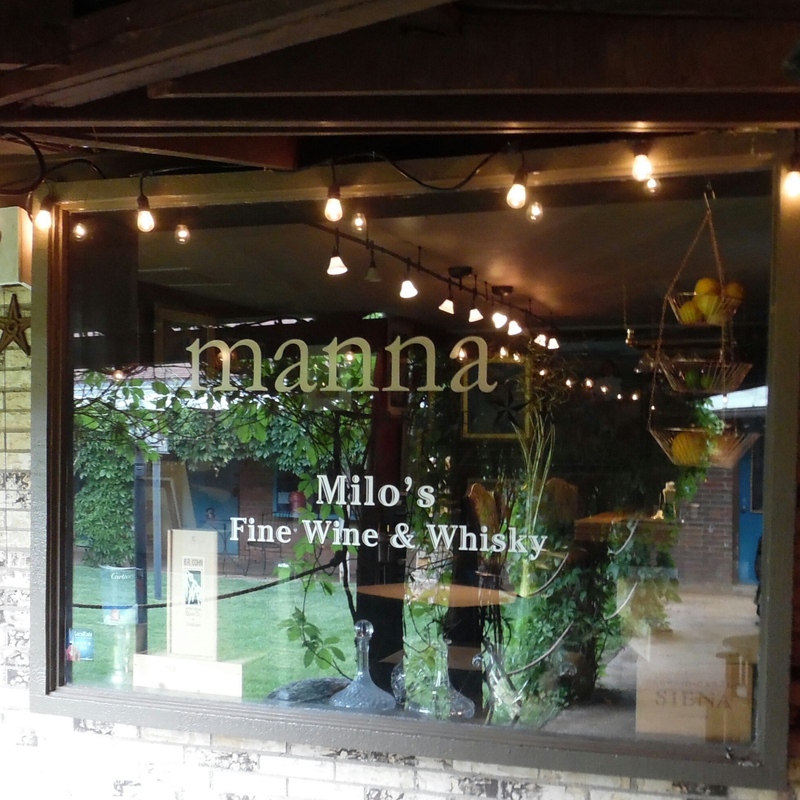 Manna frequently hosts wine tastings and special dinners to introduce guests to new pairings. In addition, the staff creates celebratory events during major holidays, & they welcome private events to mark milestones in patrons’ lives. May events include a Mother’s Day Brunch and a wine dinner featuring Pedernales wines. May 10th * 10 a.m.-2 p.m.
May 27th * 7 p.m. Visitors are encouraged to follow Manna Bread & Wine on Facebook, Twitter (@MannaBreadnWine) & Instagram (mannabreadandwine), as well as their website, www.mannabreadandwine.com . When you visit, make sure you let them known that Woodrow House Bed & Breakfast referred you!